High in the hills of Valencia, a forgotten house guards its secrets. Untouched since Franco’s forces tore through Spain in 1936, the whitewashed walls have crumbled, the garden, laden with orange blossom, grown wild. Emma Temple is the first to unlock its doors in seventy years. Guided by a series of letters and a key bequeathed in her mother’s will, she has left her job as London’s leading perfumier to restore this dilapidated villa to its former glory. It is the perfect retreat: a wilderness redolent with strange and exotic scents, heavy with the colours and sounds of a foreign time. But for her grandmother, Freya, a British nurse who stayed here during Spain’s devastating civil war, Emma’s new home evokes terrible memories. As the house begins to give up its secrets, Emma is drawn deeper into Freya’s story: one of crushed idealism, lost love, and families ripped apart by war. She soon realises it is one thing letting go of the past, but another when it won’t let go of you. I always forget how much I love stories like The Perfume Garden. The back of the book likens it to the novels of Kate Morton and Victoria Hislop and that’s the best description I can start with. Family secrets, scandals, mixed messages and misunderstandings and half-forgotten intrigue are all blended together and sprinkled with such warmth and compassion that there are some wonderful poignant moments tucked amongst the mysteries. The story kicks off strongly and goes straight for the tearducts. I’m an easy target for films and books and am more than happy to shed a tear but I usually save them for when I’ve had the chance to get to know characters. With The Perfume Garden, I was welling up in the first few chapters. Maybe because the novel starts out with a depiction of the 9/11 terrorist attacks and I can empathise more readily with the pain and suffering experienced by thousands while I was in my late-teens than I can with the tragedies of the 1930s. The sympathy I felt for Emma Temple did also make me more inclined to like her so I didn’t have those awkward few chapters where I’m trying to work out if I even like the character I know I’m going to need to be rooting for. Sympathy vote aside, Emma did turn out to be a character I liked and respected, independent and brave as she was. My heart hurt for her as she dealt with her mother’s recent death and I was willing her to make her peace with her past and her family’s past. I had a hollow feeling in the pit of my stomach that I get when I’m really invested in a story a lot of the time while I was reading, which made me oddly happy. The characters are a blend of emotionally-scarred, complex and wonderful people and I loved them. Except for the ones that I HATED, in which case I just loved to hate them. The only real down-side with the characterisation was painting Emma as a world-famous perfumier. Some speeches about the glory of aromas and comments on characters’ unique scents aside, I felt that there wasn’t quite enough to make me really believe that Emma was as talented and passionate as other characters seemed to feel that she was. The title had me expecting indulgent descriptions of smells and a vision of the world through Emma’s nose and it wasn’t as strong as I’d hoped. The story has a very rigid structure, with chapters alternating between 1930s Spain and twenty-first century Spain. Most of the time, I was more than happy to flit between the periods because it meant that I never had long enough to get sick of either. The obvious flip side is that the narrative moves around a lot and when the chapters are shorter, it can feel a bit as though you’re being dragged around. Generally, though, I thought that the balance between the darker Civil War story and the relatively lighter modern day one was well held and worked. I really did enjoy The Perfume Garden but I was rather disappointed in the final few chapters. There was definitely one twist of drama too many in the final pages and I felt that some events were done almost for a last-minute shock for readers. Perhaps intended to have readers closing the pages gaping. I wouldn’t go so far as to say that the ending spoilt the book for me because that would be a bit melodramatic but I did feel it completely jarred with the rest of the story and was unnecessary. Overall: The writing in The Perfume Garden is really very charming and I got that jumpy feeling in my heart while I was gripping the pages and yearning for a happy ending in both eras. Recommended to readers looking for something a little bit bitter-sweet that will give more than a few solid tugs on your heartstrings. A word of caution: I loved the combination of “women’s fiction” and historical fiction but fans of the fluffier side of romance/women’s fiction or of the grittier side of historical fiction might be put off by the presence of the other. If you’re a fan of both, you won’t be disappointed. About the Author: Kate grew up in the wild and beautiful Devon countryside. After studying philosophy at Durham University and art history at the Courtauld Institute of Art in London, she worked as an international art consultant, curating collections for embassies and palaces in Europe and the Middle East. She is married to a pilot, and lives with her family in Qatar. Her debut novel ‘The Beauty Chorus’ was inspired by the many hours she spent on airfields in the UK, and the experiences of pilots in her family during WW2. 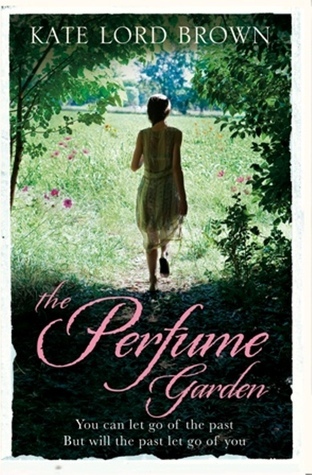 Her second novel about the Spanish Civil War, ‘The Perfume Garden’, draws upon the years she lived in Spain, and will be published in paperback in April 2013 by Atlantic. For more information, head over to Kate Lord Brown’s website and blog. Also check out the Facebook and Pinterest page for The Perfume Garden.